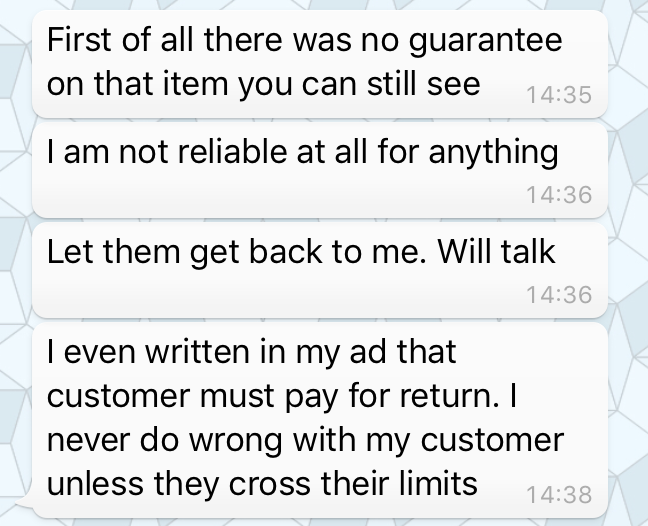 Faiz-e-Wajih of ZNet Computers just threatened me via WhatsApp for "crossing my limits" after I submitted a claim under Buyer Protection following the return of a fake laptop battery they had sent me and refused to reimburse me in full (in open violation of Section 54 of the Consumer Protection Act of April 2011). The battery was not "as described" and did was not compatible with my computer despite it being advertised as such (see details below). When I brought this to their attention they asked me to return the battery which I did at my own expense. However, once they had the battery back in their hands they refused to give me my money back. On contacting Bid or Buy over the phone (great service on a Saturday by the way, thank you!) they confirmed that when an item is not "as described" the seller should reimburse the customer for the cost of the product including the courier fees to have the item sent to the customer and returned. In order to prevent further confrontation and allow the Buyer Protection process to continue I decided to block him following a lengthy thread of back and forth exchanges where he tried to delay matters as much as possible. 3. The fake battery causes my MacBook to perform very slowly, it throttles the performance down %400%! Please see the GeekBench Scores I ran showing the difference (833, 2805 on the ZDnet Battery and 3117, 9928 on the original Apple battery). 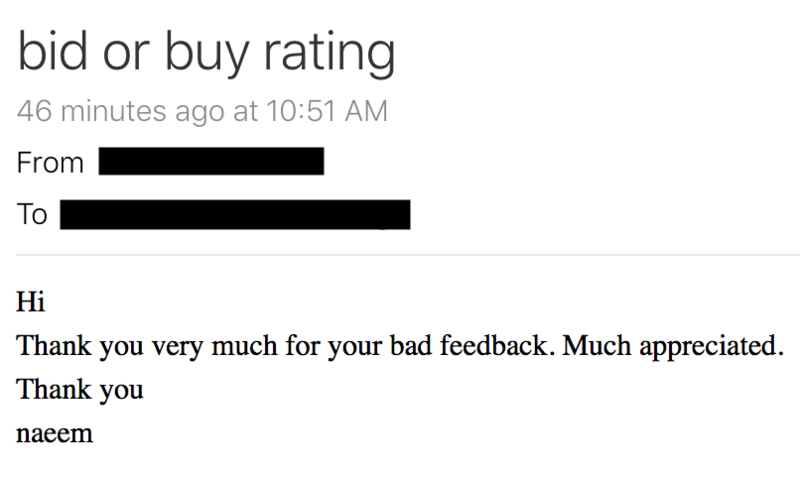 It's is a pity because I understand that Amir who used to work for ZNet Computers has left and I imagine he was the reason they have such a high customer rating that is now being used to take advantage of people. I also got 2 useless Apple batteries from ZNet Computers, fortunately I dealt with Amir so he did a refund both times but it was a huge waste of time, nevermind stressful trying to figure out wtf is going on with your Macbook.